Warner Bros. Pictures has just recently released the official trailer for their new horror flick, The Curse of La Llorona. The film is based on a ‘weeping woman’, as one character calls her in the trailer, La Llorona, who haunts small children. And the trailer does succeed in giving you shivers on some moments. And for those who are thinking otherwise, this movie is not related to The Conjuring universe. Just because it’s distributed by Warner Bros. and New Line Cinema and produced by James Wan. But still, nothing official has been revealed regarding its association with James Wan’s The Conjuring series. It may or may not be connected. But its timeline and story setting are very similar to that of other Conjuring films, like Annabelle. 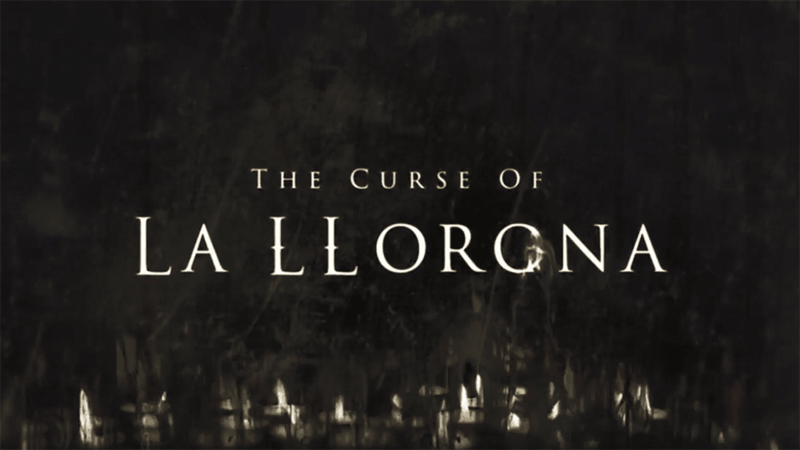 The Curse of La Llorona is based in the year 1973, in Log Angeles. Who knows if later on, it’s revealed that this one is, in fact, another entry into the blockbuster franchise established by Wan, since 2013. There have been 5 movies in total so far in the horror series, with the last one being The Nun, which was released last month, in September, and became the biggest grossing film in Conjuring universe ever-despite not being very good at reviews. It was all purely due to the tag of being a part of that franchise. Well, The Curse of La Llorona movie is directed by Michael Chaves and stars Linda Cardellini, Patricia Velasquez, Tony Amendola, Marisol Ramirez, Sean Patrick, and Raymond Cruz in crucial roles. The film will be releasing next year, on April 19 2019. The trailer for the upcoming horror film, The Possession of Hannah Grace, has been released by Sony Pictures. The film stars actress Shay Mitchell in the lead, as a medical examiner in a morgue who gets to work on an overnight graveyard shift. The trailer begins with an exorcism gone wrong, resulting in the death of a woman, on whom it was being performed. After a few months, Megan Reed (Shay Mitchell), working the graveyard shift, gets a disfigured cadaver of that woman. After being locked inside the basement, she experiences some paranormal stuff and starts figuring out that the dead body of the disfigured woman is possessed by a strong demonic spirit. Alongside Shay Mitchell, the rest of the cast includes Stana Katic as nurse Lisa Roberts, Grey Damon as Andrew Kurtz, and Louis Herthum as Grainger. The film is directed by Diederik Van Rooijen, produced by Sean Robins and Todd Garner with Glenn S. Gainor as an executive producer, and distributed by Screen Gems, which is owned by Sony Pictures. This R-rated flick will be releasing next month on November 30th 2018. This season is surely going to be of Halloween and horror flicks. Next week also, Universal Pictures’s Halloween sequel is arriving and it will surely be a terrific one. Hope the same goes for The Possession of Hannah Grace too, when it opens eventually. M.Night Shyamalan’s Glass is the third installment in his long, expanded trilogy. The first movie in the series was Unbreakable (2000), then Split (2016) and now comes Glass, which will be releasing next year. 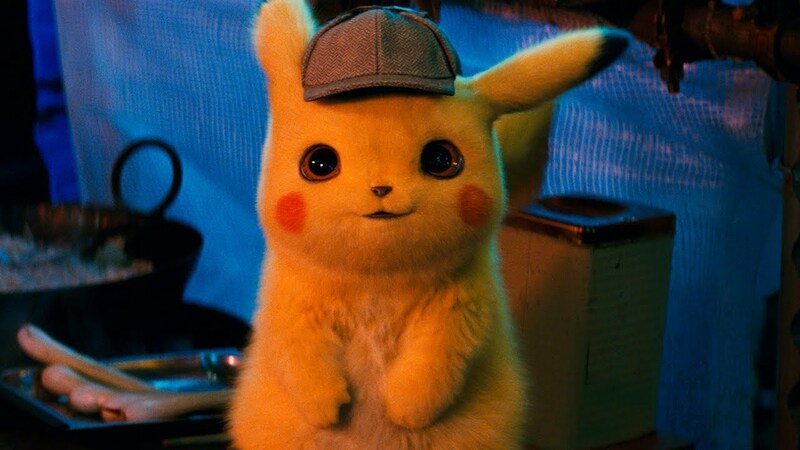 And just a few hours ago, Universal Pictures, its distributing studio, has released the second official trailer for the movie. The main characters from the series will be reprising their roles again. James McAvoy as Kevin, Samuel L. Jackson as Elijah and Bruce Willis as David, will be back. The film also stars Anya Taylor-Joy (returning back as Casey, from Split) and Sarah Paulson as Dr. Ellie. Since Glass is a crossover film between Unbreakable and Split, the new trailer gives many new details to the fans of the trilogy, which is more specifically also known as the ‘eastrail 177 trilogies’. The new trailer also hints towards a big death toll too. 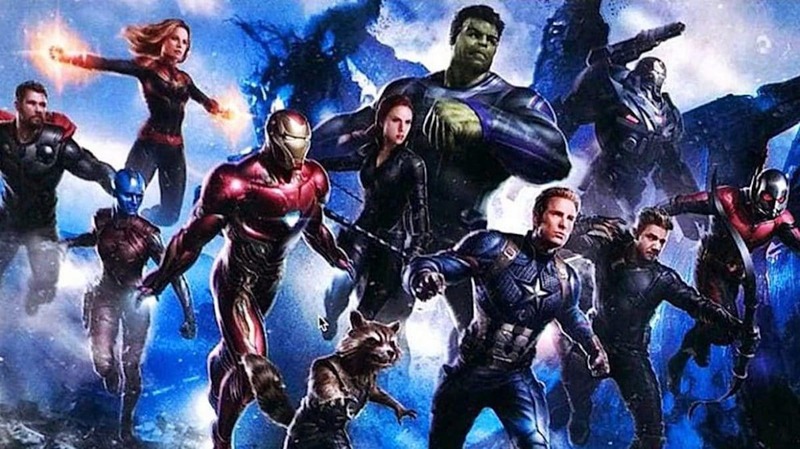 James McAvoy and Samuel L. Jackson will be the super-antagonists against the superhero, that is, Bruce Willis’s character from the first part. Before Glass, both Unbreakable and Split were mostly received positively by critics who were impressed by their mind-blowing narratives and twists in the psychological horror storyline. Not only this, both the previous installments have been great box-office successes. Where Unbreakable earned about $248 million, it’s follow up, Split grossed around $278 million, worldwide. Directed by M. Night Shyamalan, and distributed by Universal Pictures and Blumhouse Productions, Glass will be releasing on January 18th, 2019. Watch the trailer now for more details and revealing of the plot. M. Night Shyamalan is known for his fantastic narrative twists and suspense and horror in his movies, like The Visit (2015), The Sixth Sense (2001) or Signs (2002). Fans of the ‘Worlds of DC’ have a new reason to rejoice. Because just a few hours ago, Warner Bros, the distributing studio of DC films, has released the second official extended trailer from the upcoming movie, Aquaman. It’s more than a trailer basically since it’s quite long to give the viewers an idea about some interesting plots in the film. This second extended trailer video mainly and heavily shows the fun and tense moments between Jason Momoa aka Arthur Curry (Aquaman) and Amber Heard aka Mera. The trailer follows a brief scene featuring the two leads of the film. Both the characters go on a mystery mission to know about a secret about Atlantis and then they get hunted by fatal enemies. But this trailer gives a lot of details this time regarding Arthur Curry and especially Mera, who assists him in knowing his true destiny-to be more than a king; to be a hero! 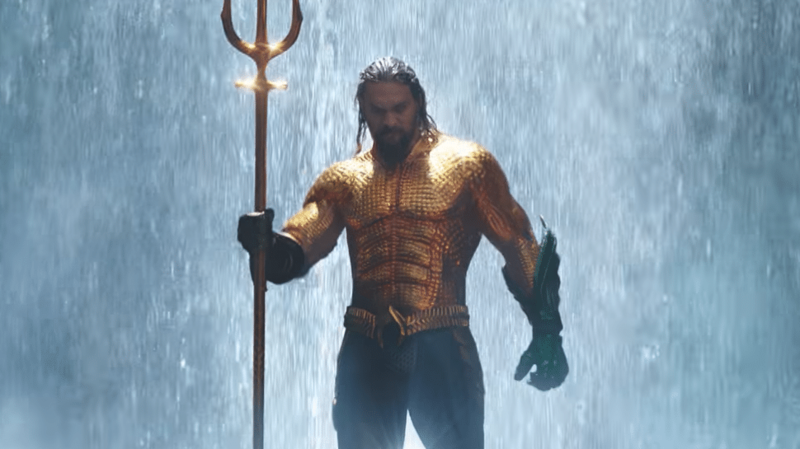 Also, the much-talked-about classic Aquaman costume can also be seen towards the end of this trailer and the fans of the superhero will definitely go insanely mad after watching it. It will also up the anticipation and impatience for the film’s release date. Apart from Jason Momoa and Amber Heard many other characters are also a highlight in this clip, that gives us the fully detailed look of Black Manta (played by Yahya Abdul-Mateen II) also, in his best looking suit-straight from the comics. While Patrick Wilson is also there as Ocean Master, who will go to any extent to beat Arthur and become the king of Atlantis. Seems like there will be a family tussle going on. In the clip, Nicole Kidman, who plays the mother of Arthur, Atlanna, is also seen giving us insights into what will transpire in the life of her son, when he will grow up-he will be a bridge between the people of the land and the sea. 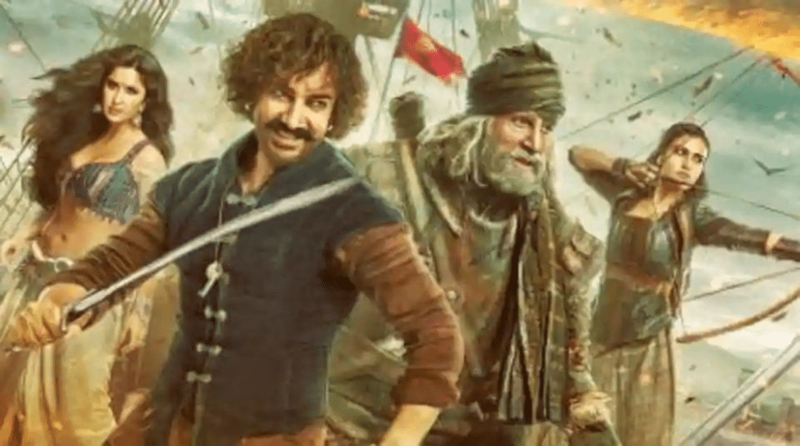 For much more details watch the new extended trailer now and drop your reactions in the comments section. Directed by James Wan and distributed by Warner Bros., Aquaman will be releasing worldwide on December 21st, 2018. 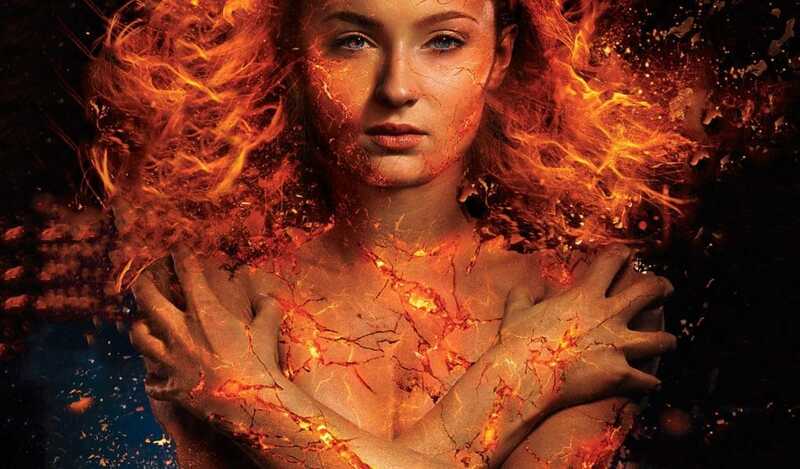 WATCH: Dark Phoenix Trailer officially arrives after big leaks!